Former Indian cricketer Jacob Martin, on December 28, had suffered a road accident. He had sustained injuries to his lungs and liver. Currently, he is battling for his life on a ventilator in a hospital in Vadodara. Martin, who played 10 ODIs for India, has received help from a number of people for his treatment. As per reports, the wife of Jacob Martin had urged the Board of Cricket for Cricket in India (BCCI) for help by writing a letter. The Board had sanctioned an amount of INR 5 Lakh. The Baroda Cricket Association had also sanctioned an amount of INR 3 Lakh for the former cricketer. Additionally, the former Indian captain Sourav Ganguly had also helped Martin financially. 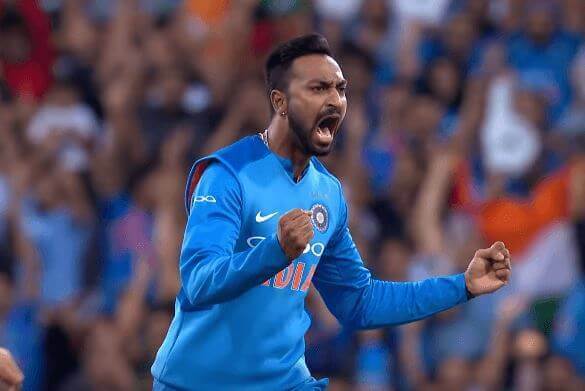 Now, Krunal Pandya, the current Indian cricketer has also come forward to help Jacob Martin recover. Sanjay Patel, the former Baroda Cricket Association secretary, is helping Martin’s family in the time of crisis. Krunal left a blank cheque with Patel and offered to provide whatever amount is needed. “Sir, please fill up whatever is needed, but nothing less than Rs 1 lakh,” Krunal told Patel, as quoted by The Telegraph. Martin’s family was in a dilemma, whether to appeal for help or not. Today, the situation is such that they don’t have to ask, members from the fraternity are asking about the amount to transfer,” said Patel. Ravi Shastri, the current Indian coach, has also assured of assistance. Among other cricketers who offered a helping hand are Zaheer Khan, Irfan Pathan, Yusuf Pathan and Munaf Patel. “It’s overwhelming that Zaheer Khan, Yusuf and Irfan Pathan, Munaf Patel, Sourav and Ravi, among others, have come forward to extend a helping hand in this time of distress for Martin’s family,” Patel added.